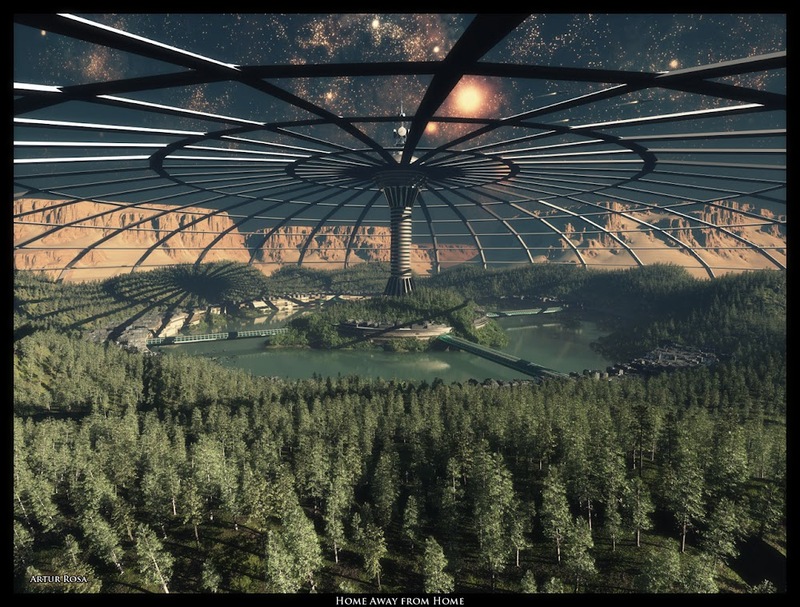 Picture of the Day 24/3/2019 - Forest with a lake and human colony under a dome on Mars by Portuguese digital artist Artur Rosa. More of his art here. Poster of SpaceX Starman "Mars. Mission Dragon"